Get pumped for the summer fun! One activity many people have trouble getting into is kayaking. Many think you need a long, rigid boat, a special kayak rack to transport said boat, high-end carbon paddles to provide as much efficiency as possible, and the best PFD on the market in order to get on the water. This is far from the truth!…And we’ve got the deal to prove it to you. We have the new Tributary-AIRE kayaks (both solo and tandem) currently being sold with a FREE electric pump. 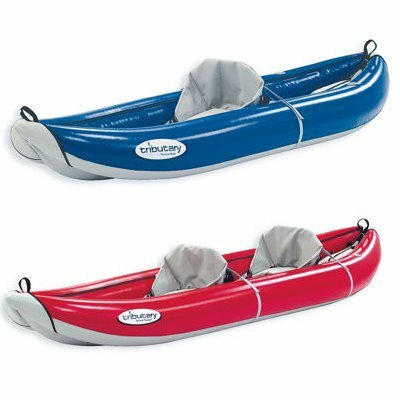 The Tomcat is a great introductory raft that comes in both solo and tandem configurations, and also in a couple different colors. If you aren’t big on inflatable kayaks, that’s no problem…We have the Advanced Elements hybrid kayaks that perform like a rigid boat and pack down like an inflatable one (another great alternative to a rigid). 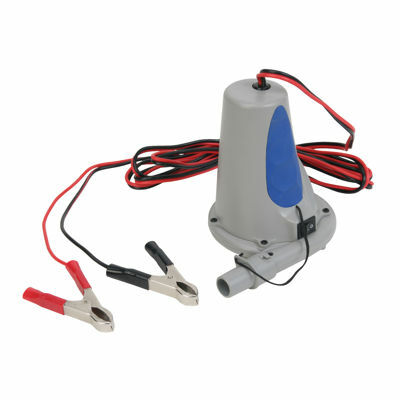 The NRS Blast Inflator Pump is a $100 value and is the perfect match for any inflatable kayak. It easily pumps your kayak to 2 psi. and connects directly to any vehicle’s battery making it quick and convenient. No more stepping repeatedly on a floor pump or getting light headed from breathing too hard…This pump takes care of the hard part so you can get on the water faster. If you need paddles, PFD’s, or anything else, MPGear has you covered. We have a wide selection of kayaking accessories so you can find the right fit for you, and your budget. Stop in today, and don’t hesitate to ask one of our gear specialists any questions you might have.